What is a “Notice of Defense”? 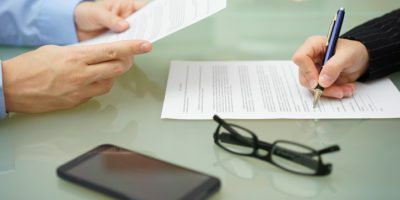 What Is A Stipulated Settlement? If you are an emergency medical technician (EMT) or a paramedic in California and are notified by the county Emergency Medical Services authority or county agency (EMSA) that you are under investigation or facing a possible denial, suspension or revocation of your California EMT certificate or paramedic license, please contact our law offices so that we can assist in negotiating and resolving any Accusations, Statement of Issues or complaints made against you. California Health and Safety Code Section 1798.200 grants EMSA the authority to conduct investigations into a paramedic’s on-duty and off-duty activities. This includes granting or denying a license based upon criminal activity. EMSA’s Enforcement Unit is responsible for investigating complaints against licensed paramedics and unlicensed personnel for violating the California Health and Safety Code, Division 2.5, Emergency Medical Services. The EMS Authority provides statewide coordination and leadership for the planning, development, and implementation of local EMS systems. California has 33 local EMS systems that are providing emergency medical services for California’s 58 counties. Seven regional EMS systems and twenty-six single county agencies provide the services. You should consult with an experienced and qualified professional license defense lawyer as soon as possible if you receive a letter from EMS with an Accusation and Statement of Issues so that our experienced licensing and criminal law team can guide you through a set of actions which can quickly restore your paramedic or EMT license – and your livelihood. At the Law Offices of Lucy S. McAllister, we can help you better understand the professional license claims and criminal complaints against you and will assist you to ensure all your questions are answered. 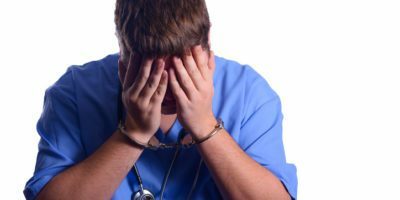 Criminal convictions and violations of EMS policies are typical situations in which California paramedics and EMTs can receive Accusations from licensing authorities. A threat to your EMT certificate or paramedic license from the Emergency Medical Services authorities in California constitutes a threat to your income, reputation and, possibly, to your career. Fraud in the procurement of any certificate or license under this division. The commission of any fraudulent, dishonest, or corrupt act that is substantially related to the qualifications, functions, and duties of prehospital personnel. Conviction of any crime which is substantially related to the qualifications, functions, and duties of prehospital personnel. Violating or attempting to violate directly or indirectly, or assisting in or abetting the violation of, or conspiring to violate, any provision of this division or the regulations adopted by the authority pertaining to prehospital personnel. Violating or attempting to violate any federal or state statute or regulation that regulates narcotics, dangerous drugs, or controlled substances. Addiction to, the excessive use of, or the misuse of, alcoholic beverages, narcotics, dangerous drugs, or controlled substances. Functioning outside the supervision of medical control in the field care system operating at the local level, except as authorized by any other license or certification. Demonstration of irrational behavior or occurrence of a physical disability to the extent that a reasonable and prudent person would have reasonable cause to believe that the ability to perform the duties normally expected may be impaired. Unprofessional conduct exhibited by any of the following: (A) The mistreatment or physical abuse of any patient resulting from force in excess of what a reasonable and prudent person trained and acting in a similar capacity while engaged in the performance of his or her duties would use if confronted with a similar circumstance. (B) The failure to maintain confidentiality of patient medical information, except as disclosure is otherwise permitted or required by law in Sections 56 to 56.6, inclusive, of the Civil Code. (C) The commission of any sexually related offense specified under Section 290 of the Penal Code. Having represented hundreds of clients in California facing legal challenges in the local area courts, Lucy helps paramedics, EMTs as well as physicians, physician assistants, nurses and other medical professionals with cases involving many types of offenses. Medical license defense in the San Francisco Bay Area require an intricate understanding of California laws, and attorney Lucy S. McAllister is familiar with effective methods used to resolve them. As your professional license defense lawyer, Lucy McAllister will be committed to providing you with the necessary information, resources and counsel necessary to help you effectively navigate the California legal codes. California professional license attorney, Lucy McAllister, is a competent and aggressive advocate with over 30 years of licensing and criminal attorney experience. She will be able to effectively plan and manage your legal strategy and will take the time to provide legal context and clarify the legal system’s processes for you. Lucy S. McAllister takes the time to understand your particular circumstances and will work hard to tailor solutions that will meet your specific legal needs. She will work tirelessly with you to collaboratively determine the most effective solutions for your case. If you are facing potential loss or suspension of your EMT or Paramedic license in California, contact us at the Law Offices of Lucy S. McAllister so that we can provide you with the most effective legal approaches to help resolve your case. What Type of Attorney Should You Hire if You Have Criminal Charges & Your License Is At Risk? Peer-reviewed with top ratings from Martindale-Hubbell. © 2019 The Law Offices of Lucy S. McAllister. All Rights Reserved.